We are one of the front runners in the league of biggest manufacturers of Storage Tanks & Conveyors. 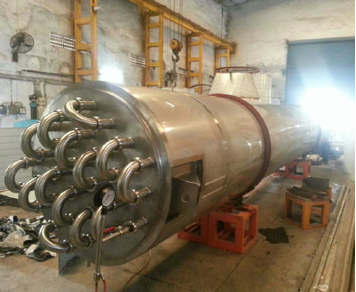 Our organization specializes in the fabrication of rupture proof storage tanks. We are one of the leading Manufacturer & Service Provider of Storage Tanks & Conveyors. The offered range includes Pressure Vessels, Reactor Vessels and Storage Tanks. We provide this offer product to our valuable customers at reasonable price. These offer products have their own unique specification.